Snap closures at bottom for easy diaper changes. 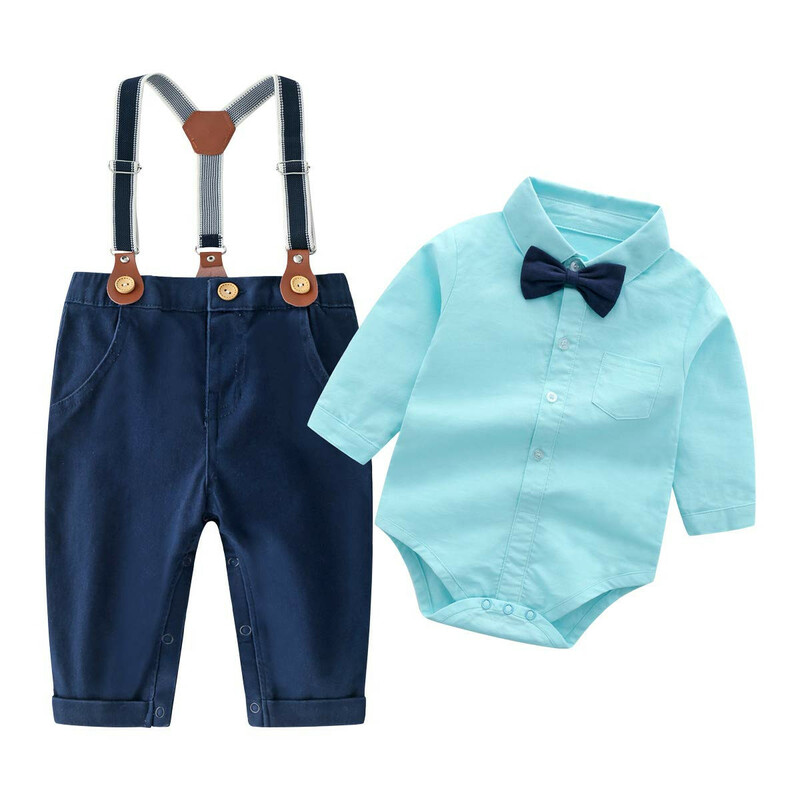 Includes : 1 white onesie 1 blue pant,1 suspenders,1 bow tie. 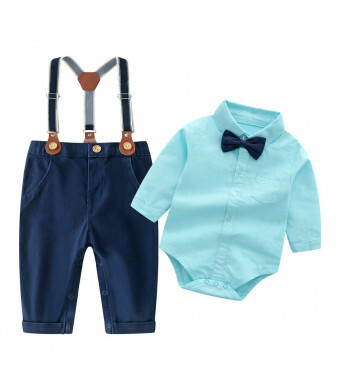 About Size, please refer to the recommended size below in Product description.